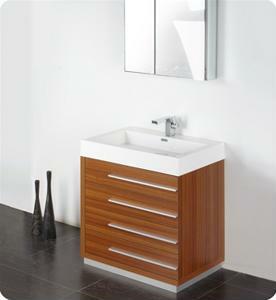 Bathroom Vanities and Accessories Design and Tips | DecorPlanet.com Blog: What is the state of your bathroom's "visitability?" What is the state of your bathroom's "visitability?" You may not want to think about it, but over time, you'll have to incorporate a few age-related bathroom accessories to make the space more accommodating as you get older. On the other hand, inviting elderly relatives to your home could be another concern, so installing a few of these items could pay off in the long run, according to DavidsonNews.net. There are a few quick and easy upgrades that can make your home more marketable and spare you from renovations down the road. Consider placing a few handlebars inside of your bathtub - this will make it much easier for an elderly person to get in and out. Look into the size of your doorways as well. If they are narrow, this will inhibit their ability to accommodate a wheelchair or walker. Widening these doorways will make it much easier to complete your design project and improve the accessibility of your bathroom. Whether you're having family members over or if you're doing some long-term planning, a few age-related improvements will drastically improve the utility of your space. What changes make the difference in an elderly bathroom?